Late last year, eBay Canada's first ever SMB Optimism Index revealed that retail entrepreneurs who had embraced the digital environment saw 2017 as a promising year. This conclusion was evident when we looked at a wide variety of factors that influence levels of optimism, including: location of the business, years in operation, what markets they focused on, the number and types of sales channels they current use, and more. The more SMBs took advantage of technology, the more optimistic they were about their future business performance. Thanks to ecommerce, businesses do not need to focus their efforts on one region or even one country anymore. Instead, even micro-businesses have the opportunity to reach multinational consumers. Having a global footprint might be a goal for many Canadian SMBs, but only 11.8% of traditional small businesses export, and those that do only reach an average of 2.5 countries. The story is very different when we look at Internet-enabled SMBs, such as the ones who sell on eBay: Ninety-nine per cent of them export and reach 19 markets on average. The way we shop is changing. Consumers are calling the shots in terms of where and when they buy, and businesses need to adapt by embracing an "always-open" mindset. The Index data points to the importance of multi-channel strategies, but also shows that not all sales channels are created equal; businesses do better when online sales are part of their channel mix. For example, retail SMBs who sold through online channels averaged 20 per cent higher annual sales versus those that didn't, and 89 per cent of businesses who sold through digital channels in 2016 expected to grow their sales in 2017, compared to 76 per cent of SMBs that were not online. Ecommerce is no longer a trend - it's the newest pillar of retail, and it has unlocked new ways to reach consumers. 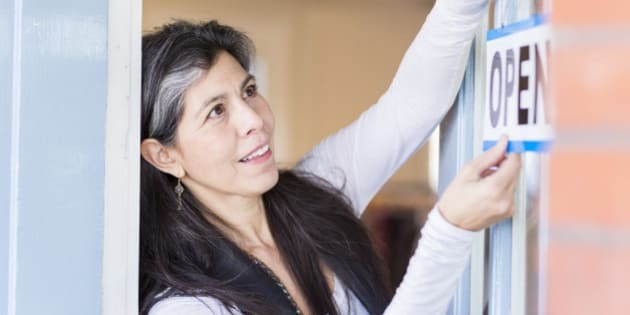 Consumers may be in the driver's seat, but SMBs now have the advantage of being able to connect with them (and sell to them) anytime and anywhere. Getting more specific about online channels: Trusted and established online global marketplaces are enabling and democratizing ecommerce and trade. How online marketplaces fit into an overall sales channel strategy can vary, but in every scenario they are an instant and cost-effective way to tap into a well-established and trusted online buyer community. Unsurprisingly, the Index discovered that seven in 10 retail SMBs that sold through online marketplaces were confident that they could compete successfully on an international scale. Further, more than two-thirds of SMBs that sold through online marketplaces said ecommerce had positively impacted their businesses, which was significantly higher than all other sales channels included in the report. With a range that stretches from global powerhouses like Amazon and eBay, to niche marketplaces like Etsy, there are exciting opportunities for budding businesses of all shapes and sizes. It's no wonder that the Index found 86 per cent of businesses that sell through online marketplaces expect to grow their sales. In an era of increasing uncertainty, the ability to diversity sales - geographically, by channel, and by platform - is critical to building successful and resilient businesses. By following the strategies outlined above, Canadian entrepreneurs are not only likely to feel more optimistic about their future, they are also likely to be significantly better positioned to weather the inevitable ups and downs that are sure to impact us all in 2017.